Explore the diverse treasures of the western Caribbean, from ancient ruins to colonial architecture. 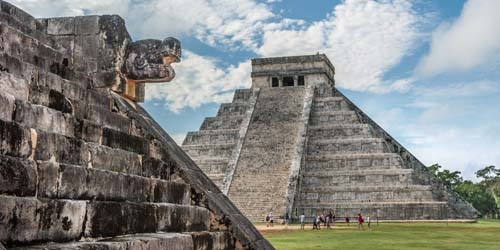 Walk with learned historians among the remarkably preserved Mayan sites in Belize and during an overnight excursion in Chichén Itzá. Learn from a local guide the colonial and Mayan past of Cozumel. En route, absorb the carefree atmosphere of Key West. With our destination cruising, the flavors of the Caribbean infuse life on board, too, from elegant Mexican meals to enrichment lectures.